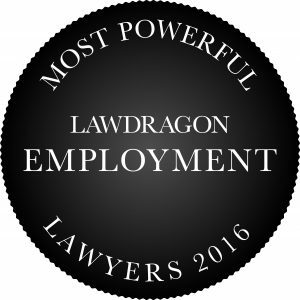 Lawdragon’s Guide to The Most Powerful Employment Lawyers also features 20 top practitioners in the area of Employee Benefits and ERISA, presented below. Click here to return to the Top 100, or view the Top 20 in Traditional Labor & Employment Law, the Top 20 in Immigration, 40 Up and Comers in Employment Law or the Hall of Fame list. Gregory C. Braden Morgan Lewis Washington, D.C.
Gary M. Ford Groom Law Group, Chartered Washington, D.C.
Thomas S. Gigot Groom Law Group, Chartered Washington, D.C.
Paul M. Hamburger Proskauer Washington, D.C.
John F. McGuiness Groom Law Group, Chartered Washington, D.C.
Robert Newman Covington & Burling Washington, D.C.
Kevin O’Brien Ivins Phillips Washington, D.C.
Paul J. Ondrasik Jr. Steptoe Washington, D.C.
Richard C. Shea Covington & Burling Washington, D.C.